Home » Gas Detector » How to Check After Buying Gas Detector? Appearance inspection should be carried out right after purchase of the gas detector. This can avoid small problems arising from the transportation, production or assembly process of the gas detector. It is necessary to check whether the appearance of the gas detector has defects, cracks or damage; whether the whole gas detector is equipped with all necessary components; whether the machine type, number, manufacturer's name, ex-factory time, manual or other manufacturer's information are complete. Meanwhile, we need to check the anti-explosion logo of the gas detector, measurement permission number and serial number. 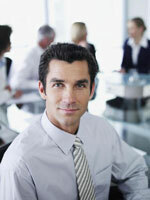 All the above information should be complete, and the client can ask for some certificates from the manufacturer. The gas detector cannot work without power supply, which is usually from the inbuilt batteries. We should turn on the switch, and check whether the gas detector is normally powered on. Some gas detectors change batteries to ensure their continuous operation; some are equipped with chargers. In terms of detectors with chargers, we should check whether the chargers can get normally charged. Under the normal power-on status, we need to detect whether the display screen is normal. 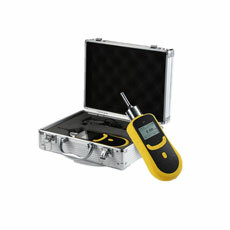 The gas detector with the sound-light alarm signals is battery-powered. When it displays under-voltage, it can emit sound or light index signals which are significantly different from alarm signals. We buy the gas detector to test the gas concentration, the gas concentration displayed by the gas detector might not be very accurate, and might be found with all kinds of errors. However, there is a general scope for the error. If exceeding this scope, the gas detector is not in line with the standards. There are different indication errors for different gases. For example, the indication error for the oxygen is normal within ±0.5% VOL. Response time refers to the time required by the value of the gas detector which rises from zero to 90% of the steady indication value required. Meanwhile, there is a standard for the response time, and the standard, similar to indication error and alarm error, differs in response time to different gases. For example, the response time of the oxygen is smaller than or equal to 20S. There are some standards for insulation and voltage resistance of the gas detector. Under the room temperature, the insulation and voltage resistance should be ≥100MΩ; under the hot and humid condition, the insulation and voltage resistance should be ≥1MΩ. The insulation strength should be able to tolerate 500V AC voltage for 1min. Nor should discharge or breakdown happen. When the gas detector meets all the above requirements, it means the gas detector is a qualified one. According to the above introduction, we have been generally clear about the verification technical standards of the gas detector. Of course, there are many details requiring our inspection. Only in this way can we be clear whether the gas detector we have purchased conforms to the requirements.